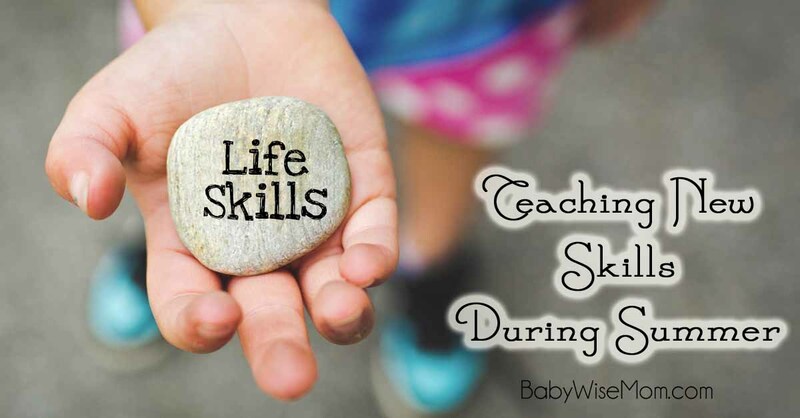 Once you have a child who goes to school, it can get difficult to find a good time to teach that child new life-skills. 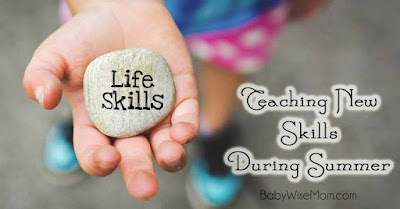 Certainly a first grader has not learned nor mastered all of the life-skills you hope to bestow upon the child, so the finding the time to teach is necessary. 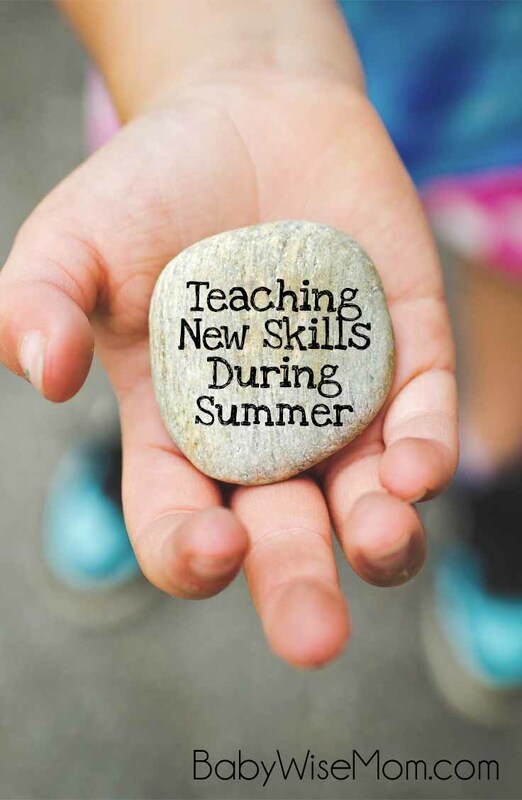 Summer break is a great time to do this! You can also do other longer-breaks throughout the year. Some of the easier skills can also be taught on a Saturday. Each summer, I evaluate what chores my children are able to do and decide which chores each child needs to add to his/her repertoire. For example, my children do not start out cleaning the entire bathroom. I teach one part of a bathroom at a time. I leave toilets for an age when they are a bit older and able to clean it well and also wash their hands well following the job. I leave mirrors for when the child is older so the child can reach the full mirror safely. I saw this great idea for a sewing school on How Does She. She did a five week course to teach her daughter basic sewing. This is brilliant. So if your child has a new skill or ability you want to teach, think it through and come up with a plan for teaching your child. You might even be able to find outlines like I found for sewing online.